May fortune smile down upon you today, as we celebrate a Chinese cookie. No, not the one with the tiny slip of paper inside. The other one. April 9 is National Chinese Almond Cookie Day! Chinese almond cookies have long played second fiddle to the beloved fortune cookie. They’re like the Jan to the fortune cookie’s Marcia, for those of you who grew up in the 70s. And like the fortune cookie, they aren’t an authentic Chinese dish, either. Cookbook author Yuan-Shan Chi famously declared these cookies “as Chinese as blueberry pie” in 1960. Coincidentally, National Blueberry Pie Day is right around the corner (April 28). 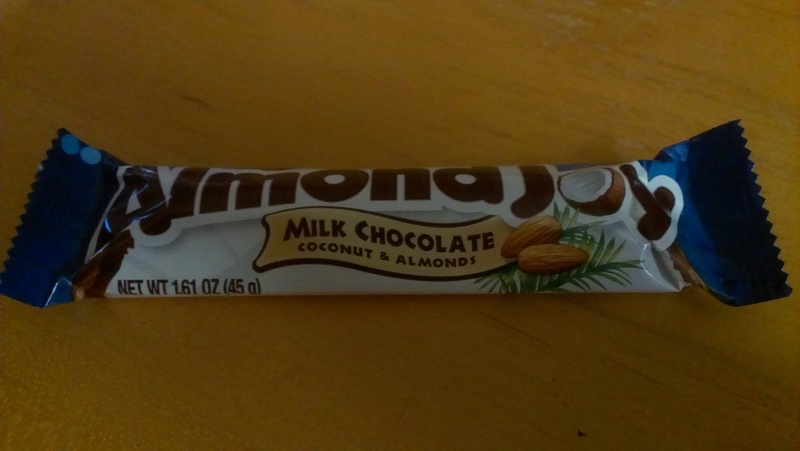 There is no record of Chinese almond cookies prior to the 1900s; they are believed to be an American invention based on the traditional Chinese walnut cookie, a plain cookie with a walnut in the center that was thought to bring good luck. In the Chinese culture, almonds are believed to be anti-inflammatory and anti-spasmodic, so if you’re in pain or having muscle spasms, reach for the cookie jar. 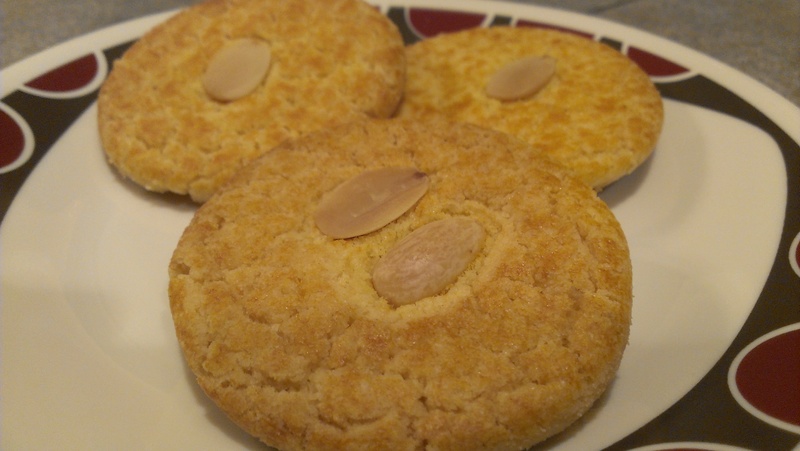 While the Chinese almond cookie may not have originated in China, it’s popular there nowadays, particular in the south and southeastern parts of the country, and in Hong Kong. They are called almond cakes in China and are traditionally served to celebrate Chinese New Year, where their coin-like shape symbolizes prosperity. Yesterday, when I was out scouting for empanadas, I picked up some Chinese almond cookies from an Asian market in town. We enjoyed those after dinner tonight. Or rather, I enjoyed them. Tara caught a cold and her taste buds were so out of whack, she couldn’t taste a thing. She did take a couple of bites though, which is all our rules dictate.